For starters, Rock On 2 doesn’t pick up from where Rock On ended. And how could it? In fact did it need to? In a season marked with sequels being dished out like flying saucers, this one by Shujaat Saudagar is more than a sequel. It is an emotionally riveting thrill-quel, taking complete liberty of Her Majesty’s language. 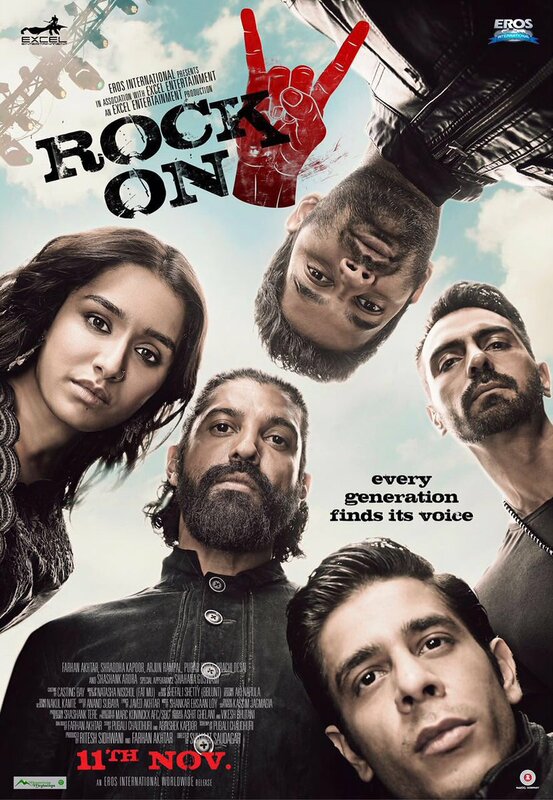 New characters- in the form of Shashank Arora as the band’s youngest guitarist and the emotional upheaval bearing albeit spunky and soulfully good Shraddha Kapoor ensure that Rock On 2 isn’t about picking up the reigns of the former glorious success of 2008. Rather, it is about re-creating magic through Magik, taking a path that treads through pain to find glory and one that finds a bigger meaning for self in being meaningful for lives around. 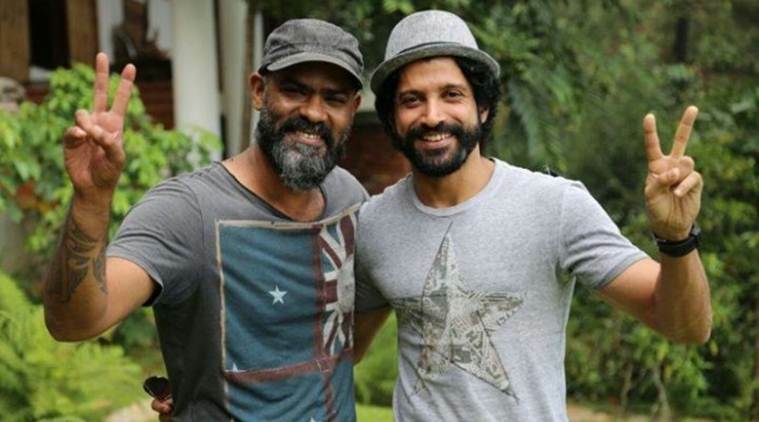 And treading beautifully on this enormously moving path is Aditya Shroff (Farhan Akhtar), the now 40 something former heart-and-soul of the prodigious band. 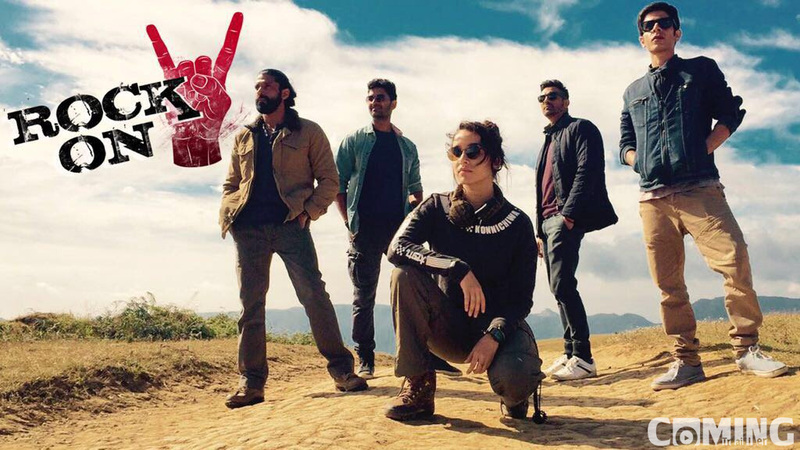 Rock On 2 is a voyager that believes in moving forward than dwelling in what has been left behind. Thankfully, in its moving caravan, there are believable mature characters- Aditya, KD, Joe who are fraught with emotional turnstiles but determined to conquer inner demons. The journey becomes soulful through the embrace of lively complex characters like Jiah (Kapoor) who is a bit of everything- song recorder, singer and a talented keyboardist but someone who needs guidance and mentoring to believe that she can be the best version of herself. What better than having a plot that makes her and Aditya’s path converge. But first things first! Farhan’s character is anything but dwelling in the soul-less Mumbai and who has now, for the sake of saving his soul, to find a greater purpose to his life and to contribute to a socially adept motive moved to the picturesque and captivating landscape of Shillong, Meghalaya. The scene now poised at Shillong triggers a curiosity- that despite Farhan immersing himself in community farmland development and more of agricultural aspects, there is every possibility of great music being developed in the times to come. Farhaan’s move to the secluded peaceful abode is pragmatic though conscientious distancing himself from the needless madness of Mumbai’s urban chaos. For he had his own demons to deal with. He confesses to old mates and musical soul-mates- Joe (Arjun Rampal) and KD (Purab Kohli) every time he’s thought about creating music, it’s ravaged some soul. But all is not well with his somewhat ruptured but evolving character. Farhaan for pure rock fans is every bit of Pink Floyd’s Syd Barrett, the legendary co founder who got lost and ultimately perished off the scene and from universe. Thankfully, Farhaan’s Aditya, is compelled and for the immensely valuable part of inspiring a budding songstress to realize her potential, to get back into the scheme of things; to recreate magic and to support a cause and bring about a change. Meanwhile, important to note that so typical of the massive cultural divide between a somewhat restrictive older generation that somehow won’t warm to today’s youth and their ideologies, Shraddha’s Jiah is torn between her father, a legendary Ustaad who gave up traditional music and one who can’t understand her penchant for rock and her own bubbling aspirations that need perfect orchestration. Jiah is reclusive, wears often the ‘do not disturb sign on the face’ and moves back and forth from Shillong to ‘redeem herself’. And meanwhile, just when you thought, Aditya was going Cobain’s way- ‘It’s better to burn out than to fade away’, he gradually keeps coming back and chipping away forging refreshingly joyous bonds with his star performers. That including Arjun Rampal’s restrained performance as the charismatic businessman and a skilled guitar player. With music being the ultimate leveller adding temporal dimension to a soul-searching saga, Rock On 2 is about friends off course but a lot more than that. It’s about the brilliant foreplay between bonding, losing oneself in life’s ever changing vagaries, dealing with harrowingly difficult past but towing life’s difficulties in embracing a brighter future where hopes are realized through becoming the best version of oneself. 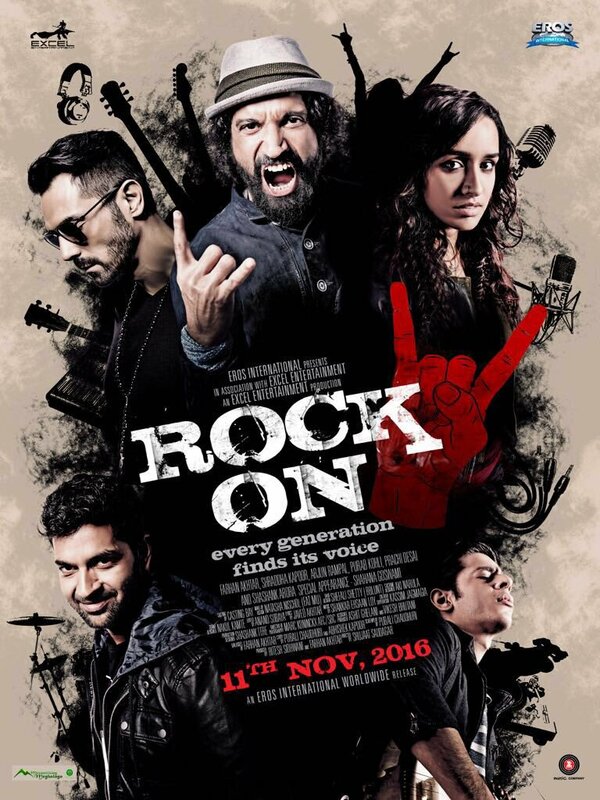 Rock On 2, truth be told has done majestic justice in catapulting Shillong to the centre of Rock Music movement in India. Lame talkers who can’t see North East being more than pretty girls and the land of dimsums- should grow up and see the enormous talent burning up the music scene. The heartfelt chemistry between Arjun’s Joe, also a motivator to Jiah and someone who wants to see his best mate Aditya shine brightest like a crazy diamond supported by the ever enthusiastic ‘let’s create some music guys’ KD is the silvery cushion to the film often walking a tightrope on terse emotional territory. The lyrics are probably a shade ahead and better than the newly reconstructed sing with me vibe as connoted through songs Manzar Naya- a thought provoking number, Jaago- an intense call to action and You Know What I Mean- that sounds glorious in Farhan’s voice. TrendMantra’s Verdict- 4 on 5. You should definitely make time for a Rock movie that’s so much more than just being about Rock music. It’s a new, level-headed polemic about misconceptions and about the happy go lucky lives of larger than life rock-sensations. That they are mortals who by virtue of their definitive talent make our lives all the more worthwhile despite battling inner catharsis is a fitting tribute paid by Rock On 2. 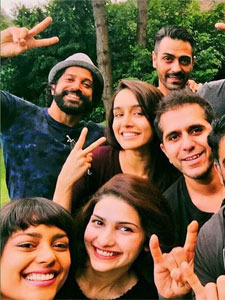 Big shout out to all of Rock On 2 star cast.